Although Google has operated under the guise of being a search and advertising company, but it’s hardly been that for some time now. And as of today, that implicit characterization has now been made explicit with the launch of Alphabet, the new umbrella that now owns Google as a wholly owned subsidiary. The reorganization frees Google from itself (and its investors), allowing it to operate all of its companies without tethering it to Google’s search or advertisement business. It gives Larry Page and Sergey Brin a new level of flexibility and control over the different initiatives Google has already created in a way they did not have before. It also allows them to basically acquire whatever the hell they want. 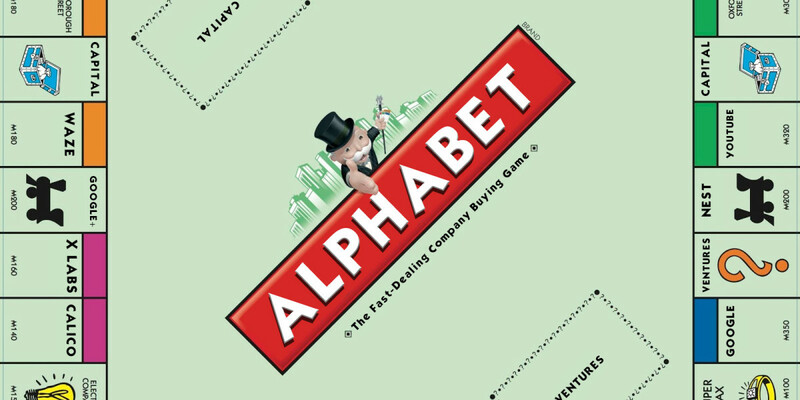 The Alphabet move will certainly allow Google Ventures and Google Capital to invest in companies it sees great potential in — and perhaps, over time, bring them under the umbrella also. Google hasn’t been particularly shy about acquiring companies it has already invested in — one major example of this is Nest, which has essentially been allowed to operate within Google as its own entity since its acquisition last year. But I believe that there are bigger forces at work here that allow Alphabet to recognize and acquire companies its subsidiaries have invested in without fear that the move could conflict with Google’s mission, message and activities. Take, for example, Jet, the member’s only retail website that Google Ventures invested in during the company’s $140 million venture round in February. As a single entity, Google has a complicated relationship with Amazon — particularly an uneasy alliance in advertising that allows both of them to benefit greatly from the partnership. While Google has taken steps to expand its retail experience with Google Shopping and partner features like a Buy Button, it still relies mostly on third-party retailers to do the actual commerce transaction. Now, back to Jet. Let’s say that, hypothetically, Alphabet makes a move to acquire Jet as another subsidiary. Jet remains what it is, but it separated in entirety from Google and its search business. They continue to operate independently as they are today, but remain under that big umbrella. Suddenly, Google doesn’t have to be concerned about creating a retail experience and can continue to work directly with Amazon on ads. But Alphabet can own Jet and, in turn, make money off of it. By not being bound by Google’s purpose and inherent philosophies, Alphabet opens up the doors to enter any business it chooses. Whether it takes a particular shine to companies that receive attention from its new investment subsidiaries isn’t incredibly important, but it has a sweet funnel to work with if it chooses. I will echo my colleague Mic Wright here: time to get excited, and kind of scared. Read next: What does Google’s new Alphabet mean for you?